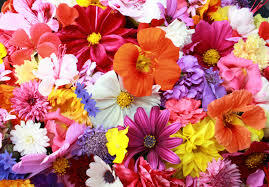 Flowers are a great way to say “I love you” to the special moms in your life. But forget the boring bouquet! California Life has some fun floral arrangements you can do yourself, from entertaining expert Lesley Stowe. And the best part is, they’re EASY! When making an arrangement, Lesley recommends sticking to one theme (color and type of flower). She also suggests decorating in odd numbers. Unusual vases can also add some flair to your flowers! Click on the video below for step-by-step instructions from Lesley on how to create a cute chrysanthemum arrangement, a luscious rose martini and a very modern take on a bouquet, using twigs, tulips and tiny round vases. And for more great tips for entertaining from Lesley, be sure to visit her website!